Learn how VSEs can implement new international standards for easier recognition! Join Digital Nova Scotia and itSMF for an informative session on new international standards for very small entities (VSEs). With the development of ISO/IEC 29110, a series of international standards related to systems and software engineering for VSEs, it is now much easier for companies to obtain recognition for international standardization. How VSEs in the Atlantic Provinces can benefit by implementing international documentation? What documentation is available to help VSEs successfully implement international standards? What are the many possible ways in which to implement ISO/IEC 29110 and get recognized? Why some international organisations are not in favour of the ISO/IEC 29110 Standards and Guide? What roles can itSMF and other Atlantic regional support groups take to create a dynamic Atlantic 29110 implementation group and possibly provide leadership to other regions of Canada and the northern States? 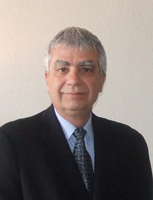 Marc Taillefer has over 35 years of experience in Canada and abroad as an expert consultant, trainer and coach in business process integration and improvement, primarily in IT services, using various international models such as ISO/IEC 20000 series, ITIL v2 and v3, CMMI and ISO 9001. Taillefer is one of the very few consultants, world-wide, accredited by the international organization Examination Institute for Information Science (EXIN) to provide all existing ISO/IEC 20000 training. He is also one of 3 coaches, worldwide, accredited to lead candidates to the ISO/IEC 20000 Executive Manager / Executive Consultant select recognition (now called Master). *Refreshments and muffins/pastries will be provided. Early Bird Rates are available until September 25th!